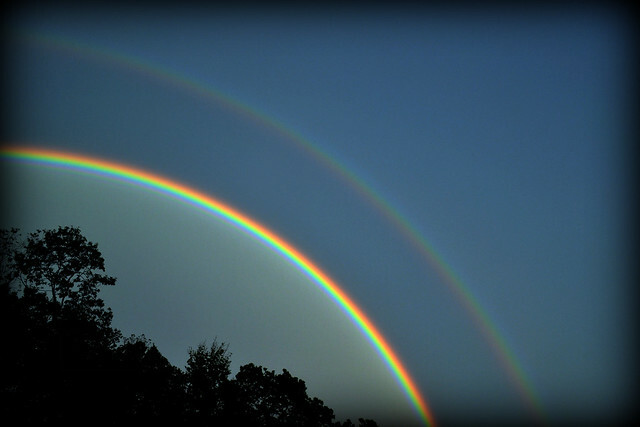 We were treated to a beautiful double rainbow last night. 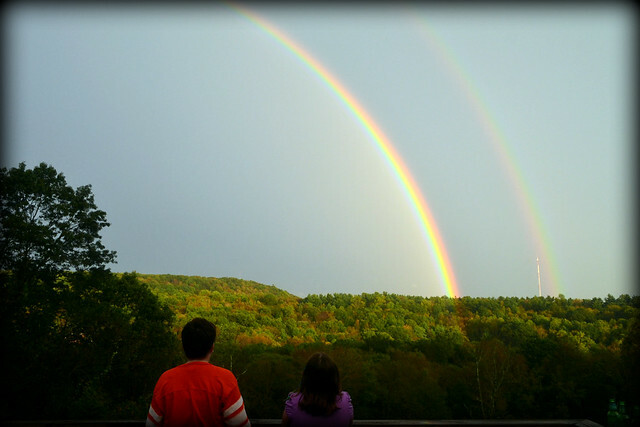 It was the brightest, most defined, longest lasting rainbow we've ever seen. I'm so glad the four of us were home to see it together. Such excitement! The rest of the rainbow shots can be found here.